Dior’s first lash primer that combs, curls, and coats each lash to create a smooth, even mascara base, while acting as a nourishing serum treatment that promotes long-term lash growth, strength, and vitality. The newest addition to the family of legendary Diorshow Mascaras, Diorshow Maximizer Lash Primer Serum instantly primes, plumps, and lengthens lashes with an ultra-light and quick-drying formula. The first “active serum” mascara primer also contains a unique cell-conditioning complex made up of hydrolyzed soy proteins that promote long-term lash growth, strength, and vitality. Studies also showed that lashes were more resilient, protected, and revitalized. The first mascara to plump lashes inside and out—wear it alone or pair it with your favorite Dior mascaras. 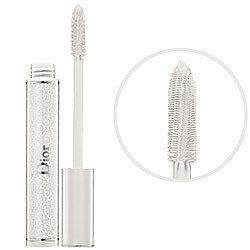 DiorShow Extase provides built-in treatment benefits and high-impact lashes in a single stroke! The spherical-shaped Black Pearl Pigments create a 3D volume effect and the exclusive Metamorphosis Powders expand in size by up to 50% after application. Also, SR38 Patented Ceramid brings additional care, reconstructing damaged lashes and promoting stronger and fuller lashes. The Extase mascara features a “Tiered Brush” that is inspired by the “tiered” couture dresses created by the House of Dior. The brush is designed for performance and contains an Exclusive Duo of Fibers: The Black Elastomer Fibers brush out and define the lashes for panoramic fringe and the Gold Nylon Fibers hold and deposit formula, generously coating each lash for outstanding volume. It’s summer Let’s have some fun!!!! NEW !!! Nivea Sun Protect & Bronze! Now have both! More coming shortly. Thank you! Thank you! All the best too! I fully like this and this post is the very informative article so I totally impressed to it..